Fajardo, Puerto Rico - We offer dea sea fishing charters for trolling, bottom fishing, jigging and more, and are located on the east side of Puerto Rico, in the city of Fajardo, at the Sunbay Marina. You’ll be fishing on a 35’ charter boat, equipped with a usual selection of navigational electronics such as GPS, radio and Fishfinder. The vessel also has a toilet on board, and is outfitted with a fighting chair for handling the bigger game fish. It has a maximum capacity of 6 fishermen per fishing trip. Captain Andy started fishing with his father when he was a child. With his experience as both a commercial fisherman and charter captain, he knows all the good spots - as well as the secret spots - to make sure you have a great day on the water. He specializes in a variety of fishing techniques, light tackle, big game and bottom fishing only being a few of them. There’s a wide range of game fish species that you can target in the waters of Fajardo. Some of these include the famous Blue Marlin, Wahoo, Yellowfin and Blackfin Tuna and more. There are also plenty of light tackle opportunities for species such as King and Cero Mackerel, Barracuda, Snappers, Groupers and others. Inshore and offshore fishing charter specialized in light tackle fishing for marlin, mahi, wahoo, tuna, snapper, grouper, tarpon and snook. Humacao, Puerto Rico - we do sport fishing and snorkeling to vieques, culebra and monkey isl. with a power catamaran 38ft for Wahoo, Tuna, Dolphin (Mahi - Mahi), White and blue marlin, Sailfish, Barracuda, King Mackerel, Amberjacks, Rainbow runner, Sharks (drifting fishing). In fishing trips we sometimes can see whales (humpback) in winter time. We also can see dolphins (flipper), sea turtles and flying fish. Fajardo, Puerto Rico - Deep Sea Fishing, Light Tackle, Fly Fishing, Vertical Jigging, Deep Drop Fishing. Endorsed by the Puerto Rico Tourism company, fish for mahi-mahi, wahoo, tuna, marlin, greater amberjack, grouper, kingfish, bonefish, tarpon, jacks, occasional whale watching, turtles, dolphin, unbelievable sunsets. Lagoon, two of the most exciting lagoons in Puerto Rico. These two lagoons have been frequently visited by professional fishermen and they have been very impressed with the lagoons. You will enjoy the beautiful scenery of mangroves, birds and iguanas and, of course, tarpon and snook--all in less than five minutes from Isla Verde and 10 minutes from Condado. Average of strike in a 4hrs trip is at leat from 1 to 4 strike. No sea-sick, good for all family members. 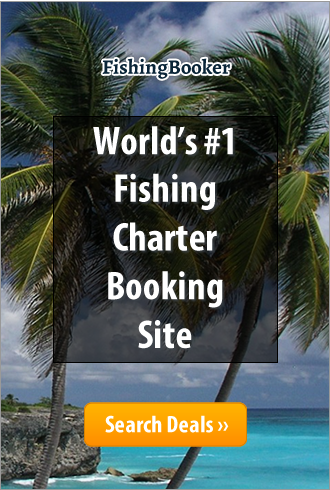 San Juan & Fajardo - Sportfishing Charter in the North East of Puerto Rico. Professional, Enthusiastic and Legal Charter. We have a Hatteras 36 fully rigged. Offering 4,6,8 hour and multiple day sport fishing charters. We fish the PR trench the sixth deepest waters in the world, deepest in the Atlantic and only a couple of miles ride from dock. Each trip includes captain, mate, top of the line gear, baits, refreshments and snacks. During our 6 and 8 hour trips we also include lunch and fruits. All trips are private charters in which you can bring up to six guests. Also available are the split charters. We also offer transfers to Culebra and Vieques. Beach days at Icacos, Palomino, Palominito and Sunset cruises for couples and groups. Bilingual crew, fish with all ages and experience.